© Getty Meng Hongwei, president of Interpol, gives an addresses at the opening of the Interpol World Congress in Singapore on July 4, 2017. 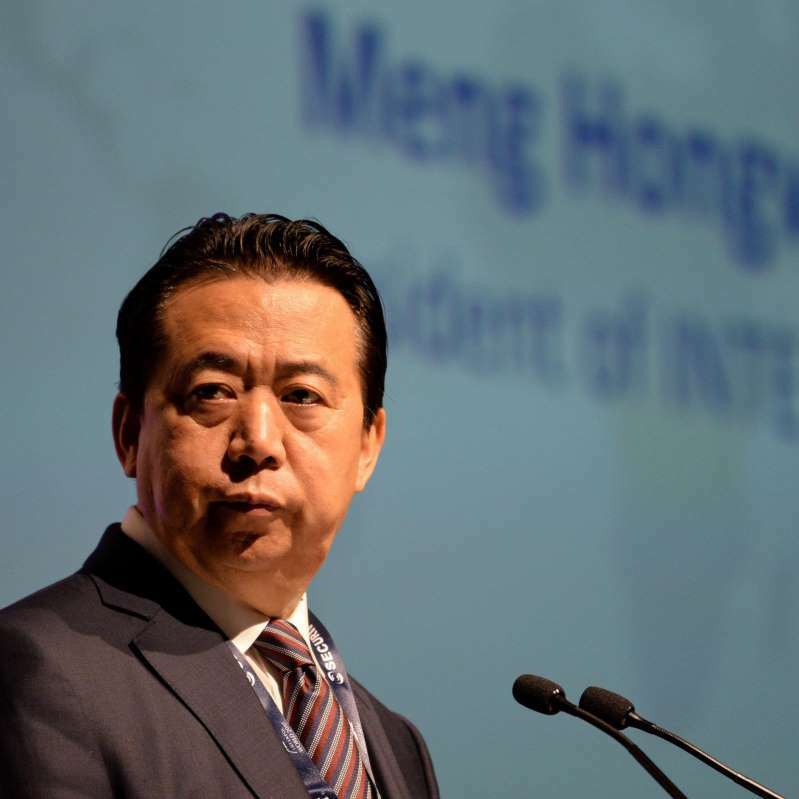 French police have opened an investigation into the reported disappearance last month of Meng Hongwei, the Chinese head of the international police organization Interpol, sources close to the inquiry told European news outlets on Friday. Interpol's website notes that Meng previously served as Vice Minister of Public Security in his native China. Interpol would not immediately confirm that its leader was missing when contacted by CBS News on Friday. French police said the case was being handled by the public prosecutor in Lyon, but there was no immediate response at their office, either. News of Meng's apparent disappearance comes on the heels of an announcement by Chinese officials that Hollywood star Fan Bingbing, who also vanished without a trace several months ago, has been ordered to pay millions of dollars in alleged back taxes and penalties. The announcement of the fines this week by Communist Party officials shed no light on her current whereabouts.